How to Fade out Music in a Video? 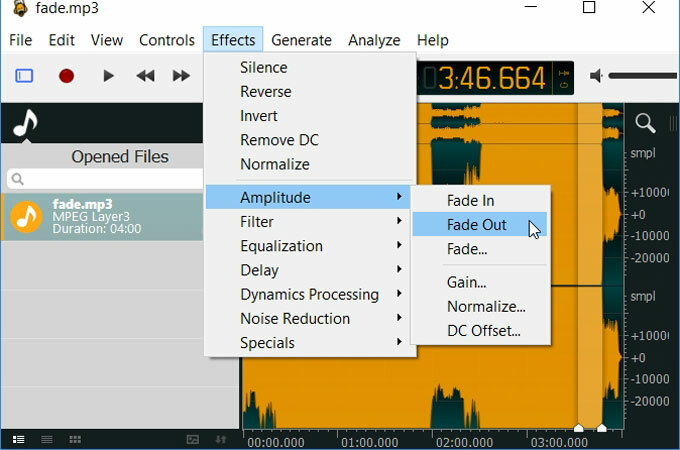 In audio editing, a fade out is a gradual decrease in the level of audio signals. This effect is usually applied in videos, to intimate that the music is going to stop but contains no obvious ending. If you listen carefully to the musical intrudes in some movies or TV programs, you may find that their beginning and end are absolutely smooth, without any prominent glitches. Now you may wonder that if you can apply fade out effect to your own videos. Honestly, no matter how much editing experience you have, you can easily fade out music in your videos. This article is going to show you the way to add fade out effect and to introduce great audio fader to you at the same time. ApowerEdit is one of the professional video editors, which features a clear interface and powerful functionality. So it has become more and more famous in the field of video editing in recent years. With this editing tool, you can easily fade out audio, meanwhile creating a stunning fade out effect to your videos. Apart from that, you can apply other advanced effects to videos with this video editor. For example, it enables you to add filter, overlays, text, transitions, etc. to your videos, which can help make your videos more attractive. 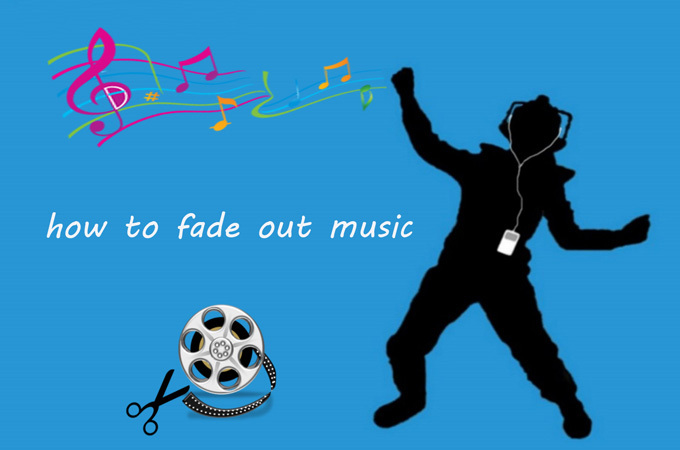 Here are the steps on how to fade out music. Editing a video using a desktop video editor is more suitable because a desktop version is usually more stable and secure when compared with an online version. You can download and install it by clicking the button below. 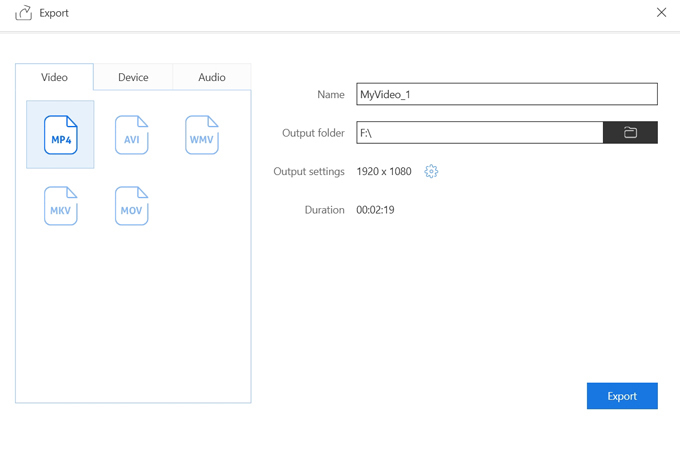 After importing a video to the media, you can just drag and drop the video to the timeline. You can click “Edit” in the toolbar, and choose “Audio”. 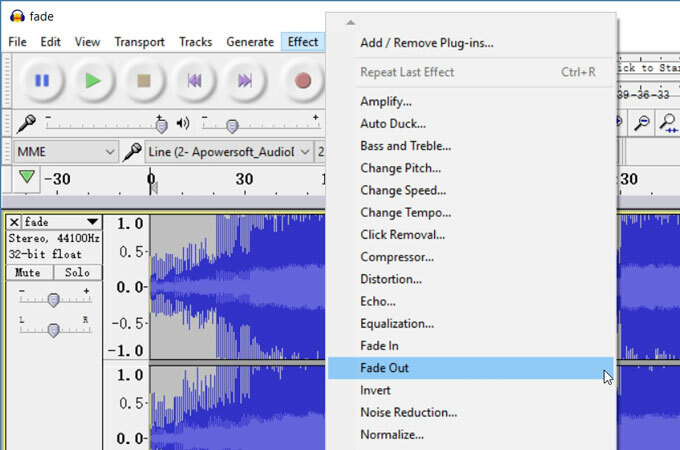 Then set durations of fade in and fade out effects separately. After finishing this step, you can put on your earphones to check out the effect. If you are not satisfied with it, you can click “Reset” to further adjust it until it meets your taste. It’s time to save your composition. 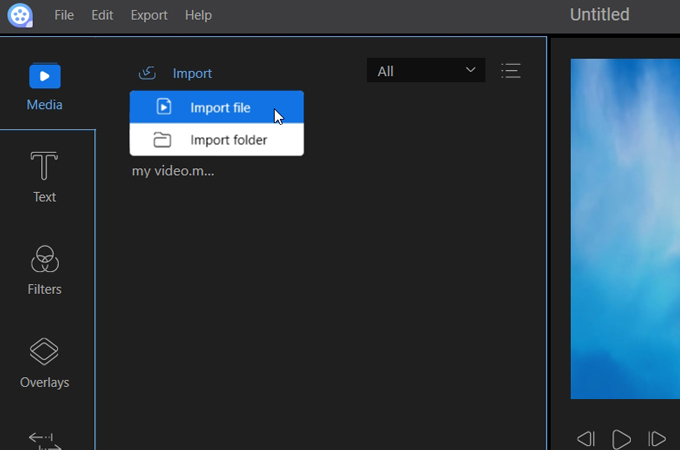 After clicking “Export” in the toolbar, you can choose a format of the exported video according to your need. At some point, you may want to know more music fader. Therefore, the tools below are suggested for you. Audacity is a free and open source audio editor, which supports Windows, Mac, Linux and other operating systems. With Audacity, you can easily cut, splice or fade out music. You can also edit WAV, MP2, MP3 AIFF, or FLAC sound files using this professional audio editing software. However, one bad thing about this tool is that it won’t help you fade out the audio in a video directly. You may need a video editor to add the audio to a video after you’ve edited it using Audacity. Oceanaudio is another free audio editing tool available for multiple platforms, such as Windows, Mac, Linux, and etc. This audio editor is suitable for your everyday audio editing. For example, you can speed up your audio with several clicks. Apart from that, you can also do base editing, like to fade out music. Being similar to Audacity, Oceanaudio is an audio editor, which may not suitable for your video editing. So if you’re looking for a video editor to fade out audio directly, you can just ignore this tool. Corel Video Studio is a popular video editing tool in terms of its powerful editing function. This tool can help you apply the fade out effect while giving you a lot of advanced control on your files. But one disadvantage of Corel Video Studio maybe that it is unfriendly to amateurs or beginners. Those are methods and audio fader that you can use to edit your audio or video file. Audio editors are great but they cannot be used to edit video. 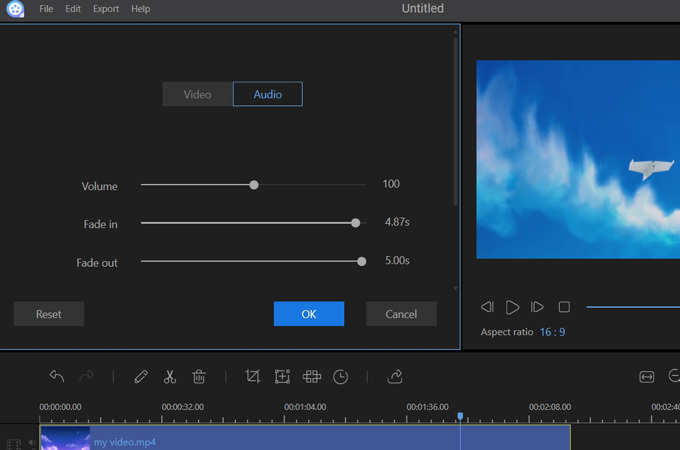 ApowerEdit can help you edit the audio in a video directly, and it also offers you other advanced editing functions to meet your requirements.